Participants of the Real Visible Results campaign will be entitled to massive savings on treatment plans and at home care! We understand that your face is your first impression and therefore has a huge impact on your self-esteem and confidence, this is where taking care of your skin is so valuable. Who doesn’t want healthy, radiant glowing skin? 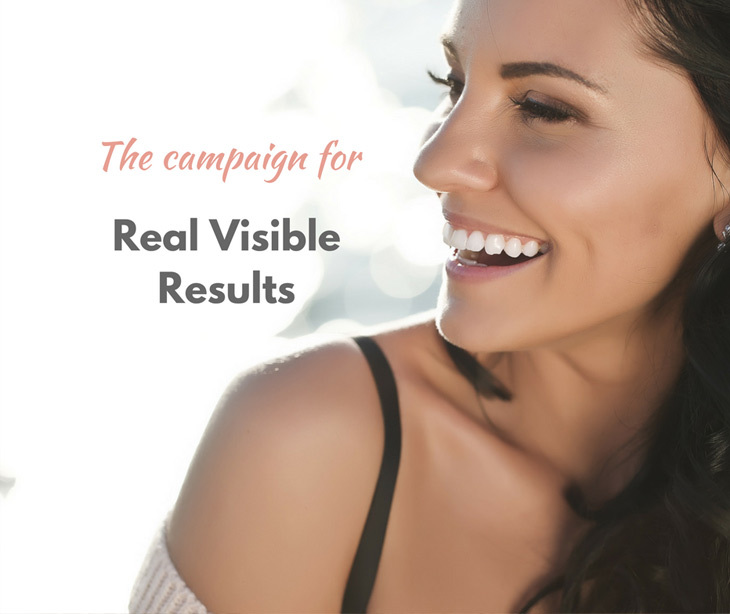 Whether you are beginning to take steps to prevent pre-mature ageing or correcting skin problems such as uneven skin tone, acne, breakout or fine lines & wrinkles, this campaign for real visible results is the perfect place to start! Like any transformation, true and sustainable results don’t happen overnight. By incorporating scientifically tested and proven homecare products with a personalised treatment and homecare plan, we can help you address your skin concerns and demonstrate real, visible results over 90 days. Let’s begin the journey to your best skin ever! 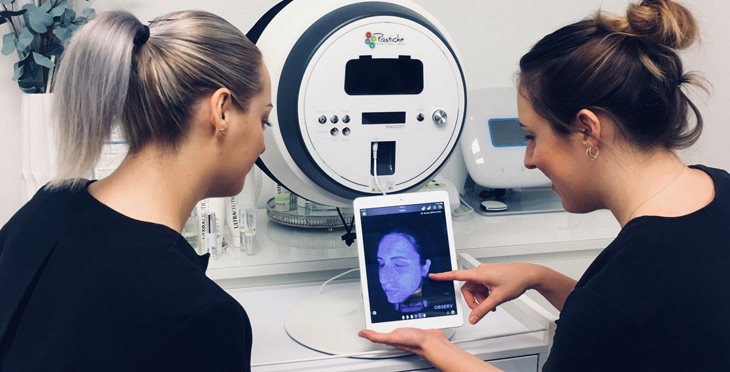 You will work one on one with one of our knowledgeable skin experts from beginning to end & we will guide you through each step of your skin journey. The journey begins with a comprehensive skin consultation using the OBSERV Skin Scanner. This scanner is very unique and is the future in skin diagnostic technology. By simply taking a series of photos the OBSERVE provides us with an in depth look at what is happening in the deeper layers of the skin allowing us to instantly and accurately diagnose skin conditions and concerns and at the same time gives us an insight into what the future forecast of your skin is likely to be. We will then provide you with a full treatment plan and skin prescription tailored to your skins needs, your lifestyle and of course your budget. Most importantly we are here each step of the way for all the support you need and to be sure that YOU ARE getting the RESULTS you are wanting to achieve. To begin your journey simply call us on 9453 9909 or email us at hello@navanahbeauty.com.au and we can get started today!